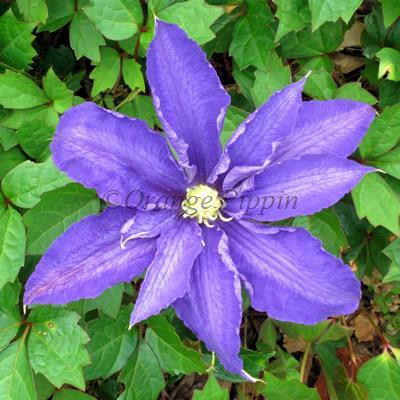 This Clematis is one of the best varieties with rich lavender blue flowers, whose petals overlap and are wavy at the edge, with light stamens. Clematis 'Lasurstern' has large 'dinner plate' blooms during May, June and again in September followed by pretty seed heads. Clematis 'Lasustern' was raised at the nursery of Goos and Koenemann of Germany so is sometimes spelt with a z..